How can you tell if an agent who reps YA prefers fantasy or contemporary? One agent responded. He suggested you check their website or any interviews they had done, and what they’ve sold lately. Now, I always check an agent’s website (if they have one) before I send a query letter, but I don’t always find what form of YA they favor even on the website. Sometimes I have to send the letter and hope they are interested in fantasy. If the query letter doesn’t spark your interest, do you look at the pages or hit delete? I got varied answers on this one. Janet Reid said she doesn’t look at pages if she doesn’t connect with the query. Two other agents, including Michelle Witte, said they still check out the pages as writing a novel is very different from writing a query letter. Do you like some short chitchat somewhere in a query letter or would you prefer we stick to the point? Again I got varied answers. Both agents from FinePrint Literary said get straight to the point of telling what your book is about. The other agents said they don’t mind chitchat as long as it is short. I usually stick straight to the point in my query letters. Does being published with a small press help or hurt your query chances? One agent answered and said she likes to know this information. That wasn’t a direct answer to whether it helps or not. Another poster asked the same basic question. Does a small press in your bio help you get out of the slush pile? Several agents answered this time and said yes. Another question that I didn’t ask, but found helpful was whether to double space your pages included inside a query letter? Janet Reid gave this a big yes. Other agents said you should double space, but that going through email often erases the formatting or plays tricks. Someone asked about low word count in YA Contemporary. The agents said anything under 40,000 was a novella. When asked if editors are looking for novellas or whether agents will rep them, one agent replied she’d had an editor ask for novellas recently. Most others didn’t represent them unless it was an established client. Someone asked about advances. Whether you have to pay them back if you don’t earn out? The answer was no. There was a brief discussion about the average size of an advance, but I didn’t pay close attention. I think it was somewhere between $500 and $10,000. It was a helpful session, and it certainly makes me respect the agents that they would take the time to help writers on their Saturday morning. Joining Twitter has definitely paid off. The first 150 words of a manuscript are crucial. They should set the tone for the whole, almost like a novel in miniature. I plan to consider every First 150 in the GUTGAA Small Press Pitch Contest as a piece of flash fiction—flash fiction that’s missing an ending. So what should be expected from flash fiction? Because of the shortness, flash fiction has to be very alive. Strong and active verbs are a great way to do this. As I read each GUTGAA entry, I’ll be asking myself if the piece conveys emotion, if it makes me feel something. Does it set a mood? If the piece is mostly descriptive, does that description invoke atmosphere? Does each piece include conflict? It doesn’t need to be the main conflict of the novel, but is there something to indicate everything is not sunshine and flowers. Conflict is what runs the show and pushes a good novel forward. The characters should have personality and be fully-fleshed. They should use sharp, real-sounding dialogue and stand out as individuals. Flat characters make for boring stories. And finally, because of the limits on words, each and every word has to count. There shouldn’t be any waste words that could be cut, such as unneeded tags (said/asked). I’ll be watching for useless filtering, using words like ‘heard, saw, looked, thought, realized’ and others. Not only does filtering waste words, but it distances the reader from the action. Whether you’re entering a contest or trying to entice an agent, it pays to take a long hard look at your first 150 words. Separate those beginning paragraphs out from the rest of the first chapter. Consider your opening as a work of flash fiction. Does it provoke interest? The opening words have to be workhorses. They are the sample that first meets the eye, and you need them to do their job. To my surprise I’ve been asked to be a 1st round judge for the GUTGAA Small Press Contest. I feel like I’ve been whisked back to high school and invited to sit at the cool kid’s table. Me, a judge! #GUTGAA is the rage that has taken over and trended on Twitter for the last few weeks, driving writers into frenzies. Did you make it into GUTGAA being a frequently heard question. So what is this GUTGAA you ask? It stands for Gearing Up to Get an Agent, or in this case, a small press. All the first round judges, like myself, are/will be published by an Indie publisher. Next Friday, September 28, one hundred entries will be accepted and the best will be reviewed in the second round by editors from several small presses. Each entry has two parts: a query letter and the First 150 words of the manuscript. The first round judges, under anonymous names, get the first crack at them. And if you’re asking yourself about the value of this contest, consider this: I made it into the GUTGAA Agent Pitch Contest with my newest manuscript. My entry got close to receiving a first round vote, but didn’t make the next round. However, I took all the great suggestions and applied them to my query letter. The next day I got a partial request on that modified query. I couldn’t ask for a better result! I want to thank Deana Barnhart for organizing this huge undertaking. I don’t know how she does it, but she deserves a reward. So what will I be looking for in an entry? First off, I want to see a query letter that stands out as having a different concept. The query should demonstrate a bit of the main character’s personality--voice. It should be easy to follow and not include too many character names. And in the First 150? I’ll post more thoughts about that this weekend. There's an urgent need for writers who would like to share their story of how they got an agent, got published by a small press, or self-published. I usually post these inspiring stories every Wednesday, but for the past two weeks I've drawn a blank. The idea came to me when I was deep into query my epic fantasy and the rejection letters were piling up. What was it like to get an agent? The joy must be indescribable, but would it ever happen to me? I was really doubting myself and my writing. Yet a silver ray shone among the clouds. I knew people who'd done it so it must be possible. I started asking successful writers to let us into their world and, since writers are so generous, the response was overwhelmingly positive. These stories pulled me from a dark place and encouraged me to carry on. And hey, it worked for me. I hope by continuing to post more inspiring success stories, others will be uplifted. They will see that to reach the goal, you have to be persistent and work hard to develop your skills. If you have such a story to share, please email me to arrange a week. No, it's not some sort of stomach ailment. 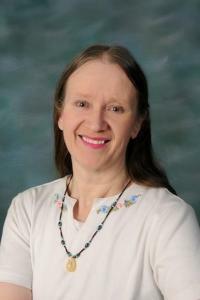 It's Gearing Up to Get an Agent on Deana Barnhart's blog which runs through the month of September. It includes a blog hop Meet and Greet week, a Pitch Polish week, the Pitch Contest for agents, and ends with a Pitch contest for small publishers. You can join in any or all of the fun. The Pitch Polish is in full swing this week. And by pitch Deana wants the bones of your query letter with the first one hundred and fifty words of your manuscript added into the mix. My query for Dodge the Sun is number 68. I’d love for any blog friends to drop by and leave me a comment. Anyone interested in the Pitch Contest for agents should get their query and first one hundred and fifty words ready. The window for sending your entry starts Friday, September 14 at 11:00 am. There will be eleven agents from Middle Grade, YA, and Adult genres taking part. More proof the road to publishing is a process. Sometimes your location itself proves the biggest challenge. What do you do when you're miles away from the nearest agent or writers conference? Did I get the call? Most certainly not. What I got was this really cool little toy, a Dell laptop. It was my very first computer. I had no internet and I had no intention of getting such a thing, not that I had a clue how. That meant that my cool little toy was little more than a glorified typewriter. By coincidence, since my boys were done going to school from here (they were both in town going to Job Corp now), I had loose leaf binders laying around and plenty of notebook paper, so like I’ve done only two other times in my life, I started writing down a story just for the heck of it. I’d read every book in the house multiple times and going to a bookstore was impossible. 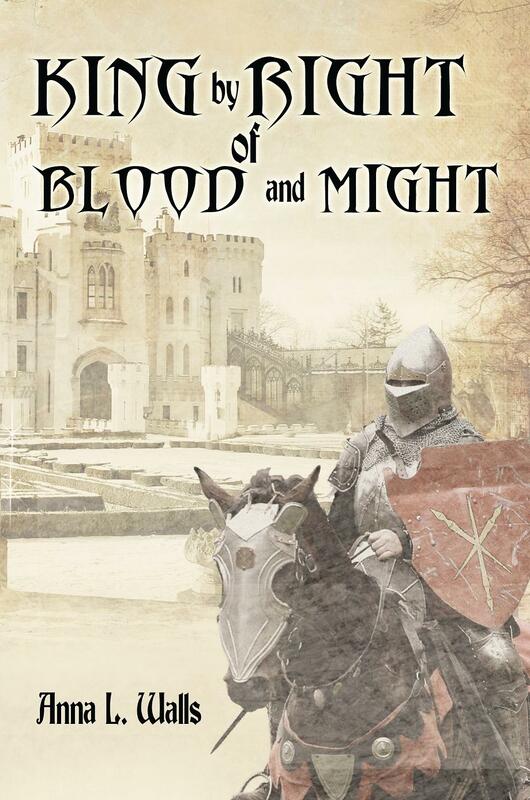 Such was the very first beginnings of my first published book, King by Right of Blood and Might. It took me upwards of two winters to finish that book, but during that time, I learned lots of things about my cool little toy too. It had a Paint program, and now I could draw pictures and maps. I drew a lot of pictures for that book, only a few of which remained in the finished product. When I finished it, I did a little checking around into the publishing idea, but quickly discovered that publishers required agents and I didn’t know how to find one. My boss at the time gave me this big fat book with contact information and requirements listed for just about any kind of publishing anyone might want to do, but by the time I was looking, the information was outdated and I had nowhere else to turn. I found AuthorHouse in the phonebook and sent for a publishing package but even that avenue died, as it was far too expensive. But, I still had my little toy and my winters were filled with discovering these brand new books no one had ever seen before, least of all me. I experimented with the rules of magic. I traveled to distant planets. I even visited Earth from far far away. And many more adventures, only just beginning to see the light of day. Then the saddest day of my life opened the way for my publishing career to start. My mother died, but there was an inheritance I didn’t expect. Suddenly, I had enough money to see a book published. It was both the best and the worst investment I have ever made. The best because I had a book out there people could read, available on Amazon, no less. The worst because of the publishing avenue I chose. AuthorHouse is a subsidy publisher; they make their money from the writer so whatever the finished product is makes no difference to them. It doesn’t matter if sales go nowhere; they got their money. It was up to me to figure out how to advertise; their only help was to tell me to get a Facebook account and a Twitter account. Well darn, that required internet. Two years later, after much research, we did just that, also thanks to the money I inherited from my mother. Now my little cabin in the middle of nowhere, Alaska, had a piece of 21st century technology hanging on the side of it, and now I’m doing amazing things like blogging and marketing and lets not forget, doing this interview. Another thing the internet has allowed me to accomplish is finding publishers I don’t have to pay. Early this spring my second book, Prince in Hiding, went live and apparently hit Amazon by storm (for me anyway). In June, 32 books were sold. In July ,18, but come August, 137 were sold, and just blew me away. 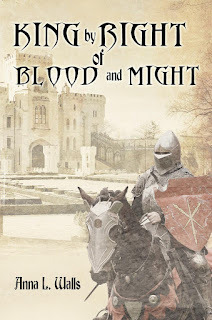 Most of those sales were eBooks and they are the craze these days, but not so long ago King by Right of Blood and Might also grew an eBook (not by my request) with no sales from that quarter that I know of. This year has been an exciting one for me. Through another publisher, The Speed of Dreams is scheduled to come out in February. 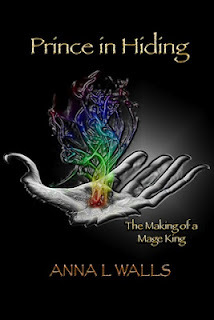 Then again, sometime in late May, book 2 of my Making of a Mage-King series will hit Amazon with, I hope, as much enthusiasm as Prince in Hiding. The balls are all starting to roll. My stories are starting to find homes. Pretty soon I’ll have to buckle down and write up some more. September is the month of an exciting contest hosted and created by Deana Barnhart. Gearing up to Get an Agent is a pitch contest and a chance to get to know other writers. There are eleven agents involved and a number of small presses. The first week is a chance to visit other blogs and read the answers to some questions, hopefully finding some great blogs and drawing new followers. To see the list of blogs, check out the Meet and Greet post. I actually write, blog, query and so on at the kitchen table. Since it’s at the center of the house, it gives me a partial view of everything going on. Plus, it’s easy to get up and grab chocolate. How boring that I don't have an exciting view of mountains or some such, but instead see an empty chair. I could have said the dog’s food bowl for an equally inspired answer. Always first thing in the morning. I have to write first thing before other interruptions drive what I dreamed up overnight out of my head. Writing at any other time is a struggle. I don’t drink anything when I write. I think I have a secret fear it will spill onto my laptop and fry all my work. I back up my work by emailing it to myself whenever I reach a milestone. Silence doesn’t work. My satellite radio station, the Pulse, is always on the tv. In fact, I changed satellite providers when they cancelled my station. My inspiration for Dodge the Sun was a cheap ankle bracelet I got at a water park. The entire story came from the idea of a girl controlled by a magic anklet. Use little details to flesh out your characters. So many people say details clog the story and bog it down. I think the opposite is true. Adding the right details gives your story depth. And always integrate strong and active verbs into your manuscript! Bio: My complete bio is in the about me page at the top of the blog. I've been writing for about five years. My second novel, a YA epic fantasy called Kindar's Cure, is being published by Divertir Publishing in March 2013. Dodge the Sun is my third novel, and it is a YA fantasy with a post-apocalypse setting. The other things you should know is that I love chocolate candy, Cadbury cream eggs being my favorite, I'm a book worm, and I don't like waiting. I have a hard time refraining from shooting out query letters before my manuscript is one hundred percent ready. You can also find me on Twitter and my author Facebook page.